This article is about the hockey team. 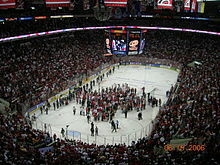 For a history of hurricanes occurring in North Carolina, see List of North Carolina hurricanes. In 2009 the Hurricanes acquired Jussi Jokinen through a trade with the Tampa Bay Lightning. He has played with 6 different NHL teams before leaving for the Finnish Hockey League. 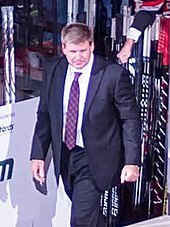 On April 4, 2019, the Hurricanes won 3–1 over the New Jersey Devils, clinching a playoff spot for the first time since 2009, where they lost in the Eastern Conference Finals.